Process Simulator is used when static mean value considerations do not adequately reflect system behavior. With Process Simulator, all processes that can be represented with a flowchart can be analyzed with regard to their temporal dependencies. The visual representation of processes and processes as well as the results quantified by the simulation support the communication of the planned changes. Process Simulator supports you in the analysis and optimization of existing processes as well as in the risk-free review of measures before implementation. It does not matter whether it is a process from production and logistics, the health service or a business process. In production and logistics, investments in new plants and processes are usually very high, so that hardly any change is implemented in these industries without simulation. Due to ever shorter product life cycles, such systems often have to be re-planned after implementation and adapted to changing requirements. Often even proactively checks how a system performs in the event of predicted market changes and which measures can be implemented quickly and cost-effectively to achieve the goals. Make use of Process Simulator as a comprehensive insurance for your investments. The customer-oriented and flexible production is in the foreground of modern production systems. Value Stream Mapping is a central tool for avoiding wastage and ensuring customer-to-customer production. With Process Simulator, you evaluate the current status and the target achievement of various plan variants before implementation without risk. Also use Process Simulator as a virtual Kaizen instrument. 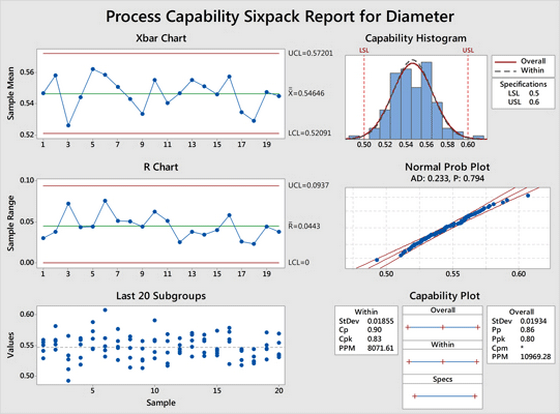 Process Simulator is an indispensable part of many Lean Six Sigma initiatives. Process Simulator helps you to understand your processes, to continuously optimize your processes and increase customer satisfaction. Mastering the variability inherent in each process is the driving force behind Lean Six Sigma projects. Lean simulation helps you achieve this goal. Against the backdrop of increasing competition and cost pressures, healthcare companies are forced to uncover and exploit optimization potential in their processes. At the same time, it is important to ensure optimal care for the patients. Process Simulator helps you to identify and quantify potential for improvement without danger. Process Simulator is the basis for planning innovative operations. The future belongs to the companies that constantly question their processes in order to be able to react to the constantly changing conditions and customer wishes. Read how the business process simulation helps to analyze and optimize your processes. Benefit from Process Simulator for virtual protection of your processes!